An article I wrote on how to save money on heating oil is running in the Sunday Times today, so I finally had to do some housework. The connection between heating oil and housework may not be immediately obvious, but bear with me. When we moved to Suffolk, we swapped a connection to a gas main for a large oil tank lurking in the garden. 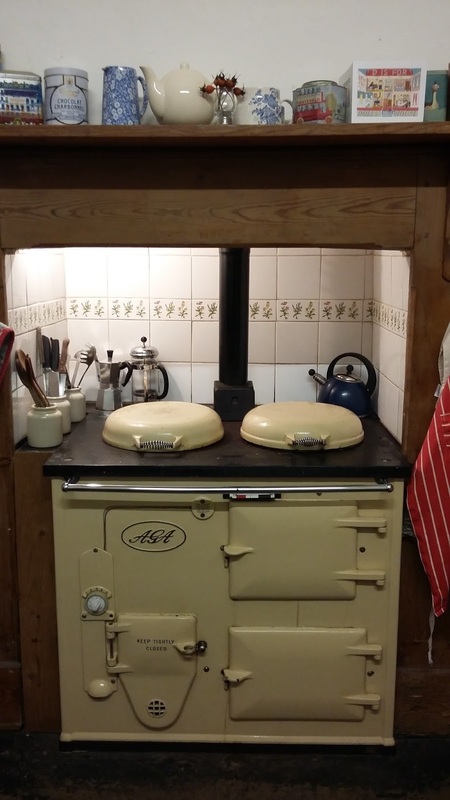 Our central heating, hot water and even the elderly Aga are all oil-fired. Before we moved, we assumed that we should get connected to the gas main asap and scrap the expensive oil tank. We even got people round to quote for installing a shiny new gas boiler. Luckily for us one of the heating engineers pointed out that our oil boiler is a good model and only about 5 years old, and suggested we keep it until it keels over. I say luckily, because since we moved in June 2014, the price of heating oil has plummeted. Our first delivery of 2,000 litres cost just north of £1,000 (ouch), but the quotes had halved to just under £500 this week. This means that for the last year it’s actually been cheaper to heat your house with oil than gas. So hurrah for oil heating. However, when you need more oil, you do still have to go through the faff of checking prices, looking at comparison sites and haggling with different suppliers. By the time you’ve ordered the stuff, the delivery itself is a very smooth process. The first time the oil man came for a delivery, the whole family lined up to see what happens (we don’t get out much). Just to share the excitement, I took some photos last time we had an oil delivery, back in November. The oil tanker parks outside the house, and the delivery driver drags a thick hose from the back of the tanker right across the garden to the oil tank. It all unrolls much like a hose from a fire engine. Oil hose snaking across the lawn. The delivery driver unscrews the cap from the top of the oil tank, connects up the hose, starts the oil flowing and then waits for the tank to fill up. Delivery driver being very patient while I hop around taking photos. Meanwhile back on the oil tanker, the numbers on the meter whizz round like a petrol pump until the tank is full or the specific amount of oil you ordered has been decanted. The hose gets detached and rolled up again, and the delivery driver hops back into the cab to sort out the receipt for the amount of oil actually delivered. Then he drives off happily, leaving you to face the hefty bill, although thankfully not as hefty as our first order. So then you pitch an article to the Sunday Times, to help towards the heating oil bills. And the money editor decides to send round a photographer, to take some nice family photos to accompany the piece, with the the oil tank and oil-fired Aga in the background. So rather than having the reality of your ancient grubby, dusty Aga revealed to the nation, you find yourself getting up at some unfeasibly early hour, scrubbing away at the Aga (and tiles, kettle and assorted containers) before the photographer shows up. There wasn’t a lot I could do about landscaping the oil tank on a cold January morning, apart from moving assorted wheelie bins to the other side of the garden. But here’s a picture of it back in November, when the storm bush and climbing nasturtiums did a better job of hiding it. On the plus side, the Aga does now look remarkably shiny and clean compared to its normal state. I even took a picture because let’s face it, it’s unlikely to last very long. Postscript: Looking at the photo used by the Sunday Times online, boy am I glad I got round to cutting the hedge last year (as blogged here: http://muchmorewithless.blogspot.co.uk/2015/09/exploding-hedge-trimmed.html ). Our water and heating is oil fired too, but our Rayburn is solid fuel, so we use that and our wood burning stove as much as possible. There's nothing like watching the level of the oil tank drop to make you realise how much fuel you're getting through! We get logs delivered by the load, rather than those dinky net bags from the garage, and have managed to get a few good deals, like tree trunks (that will need chopping) in exchange for taking them out of somebody's garden, which helps keep the price down. Yes can be quite alarming watching the oil level drop! We love our woodburner too, thanks for the suggestions about where to get wood. Your oil monitor sounds very handy. I fear if we had one, we'd get similarly obsessed, and my husband would be even more inclined to whisk around the house turning the radiators down!